First, there was too much snow in Villars and then there wasn't enough of it in Serbia! In Mokra Gora, the skies were cloudless, blue. The first races were in Zlatibor where the organisers had to adapt and change hill in order to run a race at all. Then the GS races in Mokra Gora were changed to Slalom because the lack of snow meant that they just couldn't run a GS! 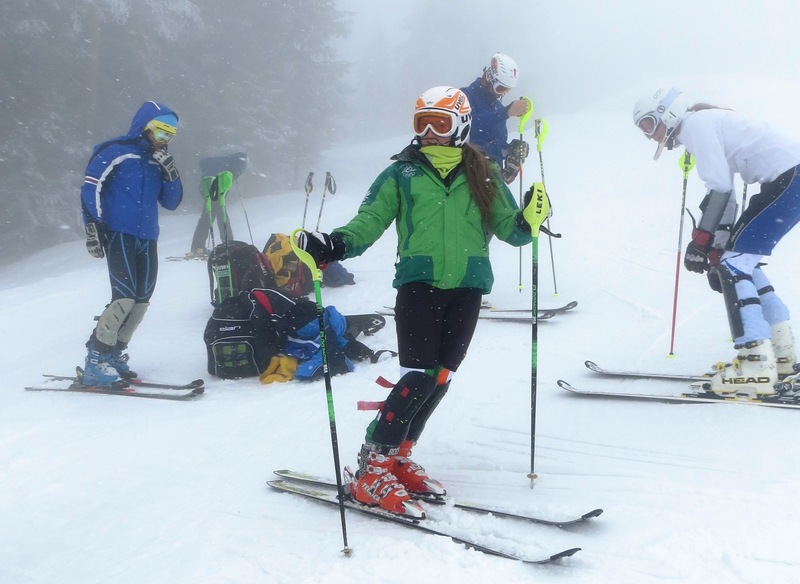 I was so disappointed because I have been concentrating on GS; getting to grips with the new ski length etc and I was confident of a very good result in Mokra Gora. I was also annoyed that, rather than simply setting a challenging course, the course setters at both Zlatibor and Mokra Gora seemed hell-bent on ensuring that as few racers as possible finished - it cannot be right when only 13 finish out of 29 starters! It just makes for a wasted, unproductive day for those competing. The only positive thing I can report was that Florence and I were drawn with bibs 1 & 2 for the first Slalom race in Mokra Gora - I'd like to know what the odds are on that happening! Interestingly, the organisers were pleased to report a higher entry than in previous years - it will be interesting to see how many turn up next year; I certainly won't bother!